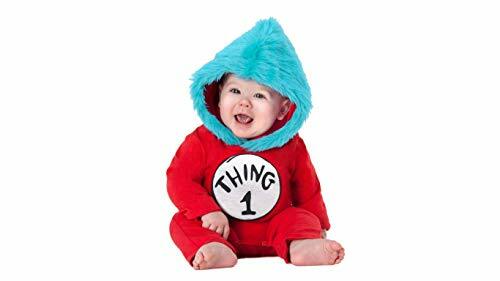 Let's hope your little one doesn't cause as much mischief as a Thing when they wear this officially licensed Thing 1 Thing 2 Hooded costume! 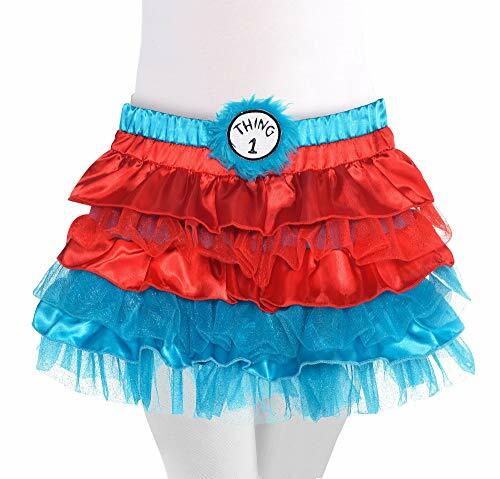 This adorable red jumpsuit has snap closures all along the legs so that you can easily transform your little boy or girl into a friend of the Cat in the Hat, and comes complete with a bright blue faux fur hood and interchangeable Thing 1 and Thing 2 patches. 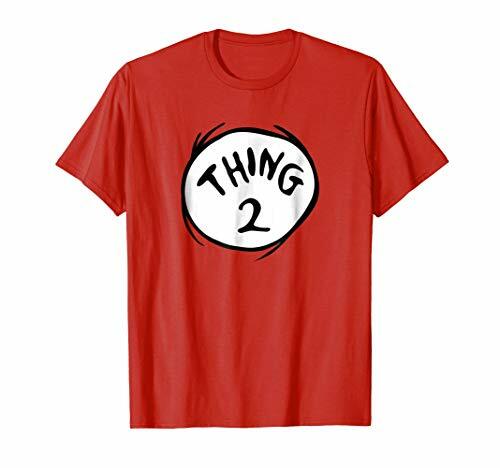 Buy two and have a costume for a sibling or best buddy! 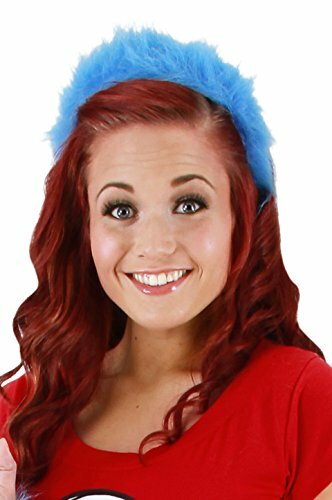 For a list of supplies, custom orders, and more info, visit me at www.DIYREECIE.COM Purchase the supplies I use at www.SewFreshCrafts.com Here's a great accessory for your Thing 1 or Thing 2 Costume. 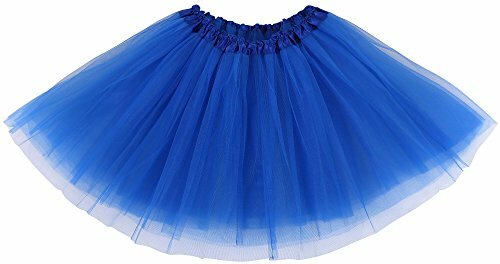 Make two clusters of tulle and add a second bow for adorable ponytails. Simply omit the bow and add the tulle to a baseball cap for guys. 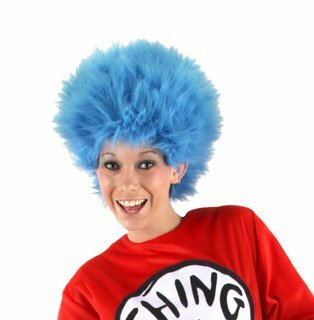 Make this simple wig perfect for dressing up like Thing 1 and Thing 2 from the popular Dr. Seuss Book, "The Cat in the Hat". With a few supplies and a few minutes, you'll be able to whip up a wig easy enough for any child to take on and off by themselves!